Dr. BBQ Makes Top Restaurants of Tampa Bay! 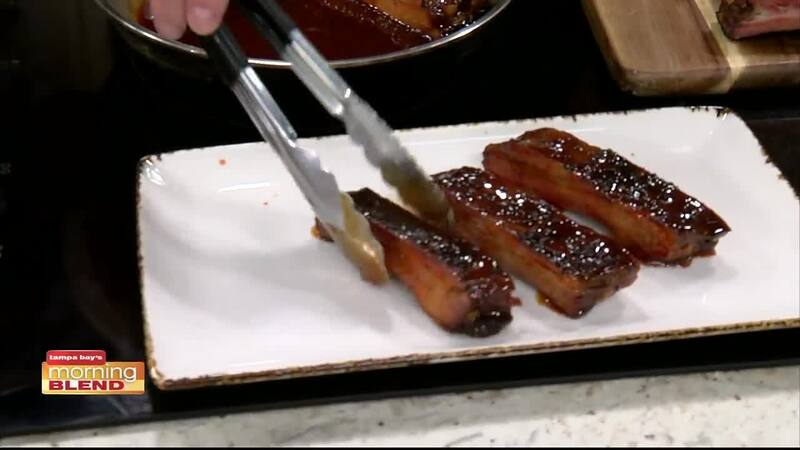 We sample some delicious ribs in the kitchen from Dr. BBQ. Ray Lampe, known to the world as “Dr. BBQ,” is stoking the fire on a new endeavor: as a restaurateur. With partners Suzanne and Roger Perry, owners of the Datz, Dough, and Roux restaurants in Tampa, Lampe brings a new class of dynamic, food-forward smoke-basted meats to Dr. BBQ in St. Petersburg's thriving Edge District. And he’s mustered a fantastic team to make the magic. Pitmaster Lee Jasper brings his skill sets to the kitchen, forming a formidable trio of BBQ experts capable of creating the perfect proteins, sides, and sweets. The bar features a remarkable selection of bourbons curated by an award-winning mixologist, along with a creative cocktail program, artisanal spirits, house-made cola, and local beers. The rustic industrial ambiance of the interior complements the cuisine and gives diners a number of seating options: from community tables to private booths to a couple of saddles, guests are welcome to relax and enjoy. Dr. BBQ is located at 1101 1st Ave. S, St. Petersburg, FL 33705.